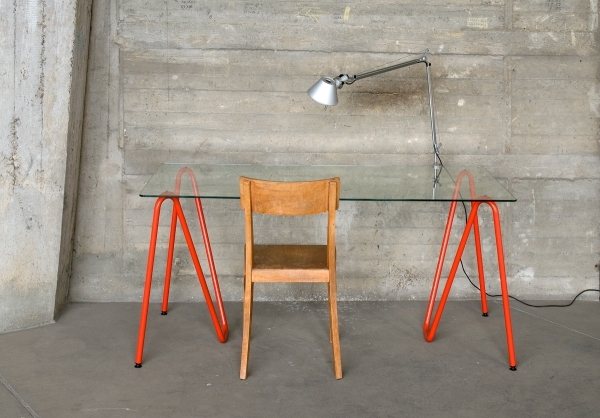 I saw these table legs from L&Z (inspired by paper clips) recently on Fab, and noticed that they won’t be on sale for much longer. I love the shape, and can image how nice a table they would make with a glass top – or even a wood or laminate top. They come in lots of colors – check them out here. Tomorrow is the big fundraising event for E’s school – and so early May usually finds me working with friends to get the auction items and raffle baskets together. 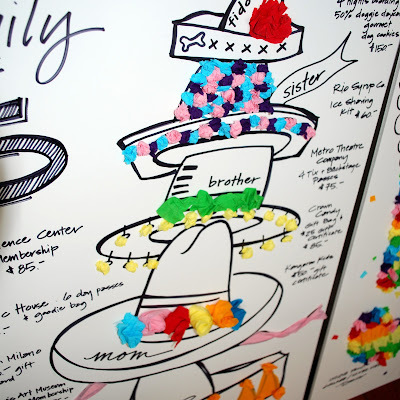 The raffle baskets are loaded with goods – usually between $600 – $1000 worth of items, and instead of displaying those items we make posters to describe the prizes. 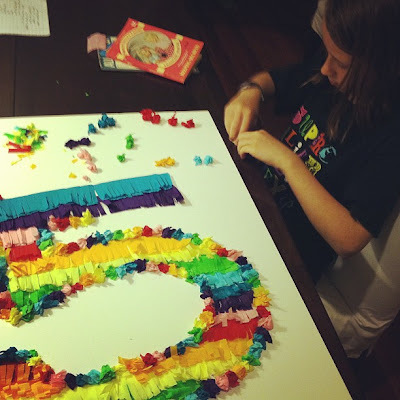 This year’s theme is (fittingly) Cinco de Soulard, and so we ran with the “five” theme and created three baskets around a phrase with five in it. 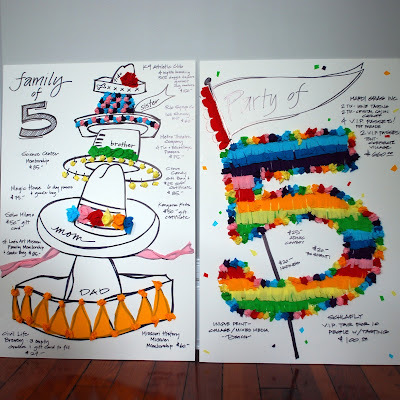 “Party of 5” has lots of restaurant / event related certificates plus the big VIP Mardi Gras package. “Family of 5” has good stuff for everyone – Mom, Dad, the kids, and the dog. 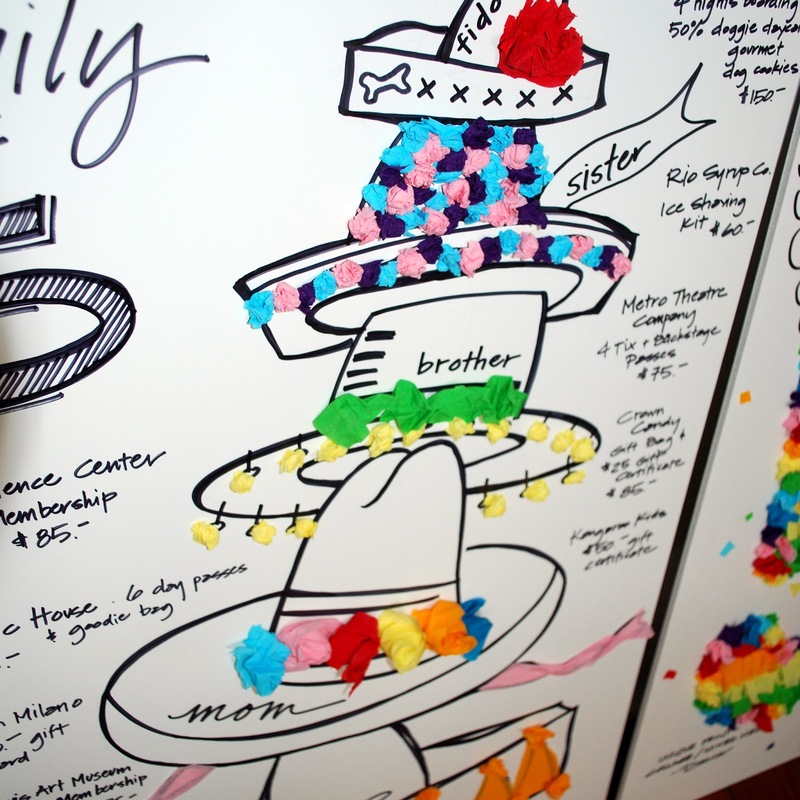 That turned out to be my favorite poster – I made a stack of sombreros for every member of the family. E was a tremendous help this year – we scrunched and cut a lot of crepe paper – leftovers from F’s rainbow party last year. “Gimme 5 / Take 5” is a combination of fitness related prizes and relaxation related gifts. 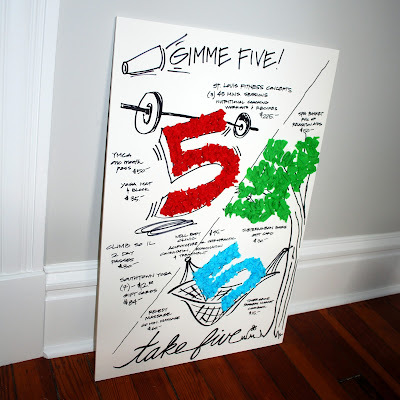 I think I might have been stretching the “5” thing a little far here, but lifting weights / hammock was the best I came up with. 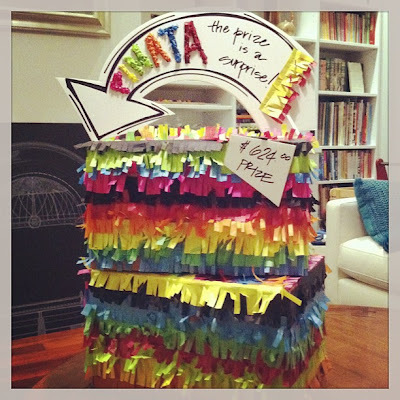 Our fourth basket is something of a grab bag – and so we finally gave up trying to think of “5” phrase and decided to make it pinata themed. Pinata – the prize is a surprise! So… if you are local, and feel like celebrating Cinco de Mayo at an Irish restaurant… the details are all here. Lots of people come by from the area – you certainly don’t have to be involved directly with the school. The food and drinks are included – and great – and all the details are so well done. Plus – great auction items from some terrific local gems and fun packages (including a trip to Mexico!) You can purchase tickets at the door, and the party will move indoors if the weather is bad. Come join us (adults only) – hope to see you there!